Gold hit nearly a two-week high on Wednesday as tepid U.S. economic data reinforced views the Federal Reserve would be patient on monetary policy, with bullion's appeal also bolstered by uncertainty over a Brexit deal ahead of a key vote. U.S. stocks rose on Wednesday, led by gains in healthcare shares, and Boeing shares edged upward even as the United States grounded the company’s 737 MAX jets after a fatal crash in Ethiopia. Hong Kong stocks dropped on Wednesday, as investors turned cautious ahead of yet another make-or-break parliamentary vote on Brexit while awaiting more news on the progress of Sino-U.S. trade negotiations. The market supported firm above 1669 despite a little dive to 1667.5 upon opening in the morning. 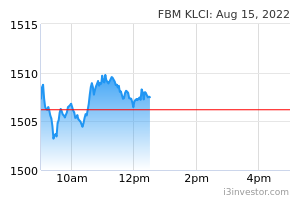 The market surged to the peak at 1679 in the final 30-minutes after KLCI closing at day's high before it then closed at 1677. The market seems to have waken up the bull with some contributions from the regional markets, thus traders ought to follow the market trend and grab the opportunities. FCPO dampen as strong selling pressure is exerted to the market during early first session. Dalian and soybean oil are weak while Ringgit stays at RM4.08 against the greenback. Plan A : Sell if market rebounded and resisted around 2076. Targets are 2054 and 2031. Plan B : Buy if market supported firm above 2054. Targets are 2071 and 2083. Plan C : Above 2076, no fresh position. Plan D : Below 2054, no fresh position.